- What a joy to be able to start this day rejoicing. 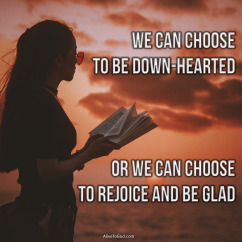 - We can choose to be down-hearted or we can choose to rejoice and be glad. - Praise lifts us up and places us on a sure foundation. - Let your soul magnify the Lord and let your spirit rejoice in the Lord. Prayer: Lord, thank You for today and all the opportunities and blessings it brings. I choose not to focus on the negatives but to magnify You and let my spirit rejoice in You, my God and my Saviour. Amen. - Believing God is an act of faith and that pleases God. - As we step out and believe, we step into His blessing and plan for our lives. - Do you believe that the Lord will fulfill His promises to you? 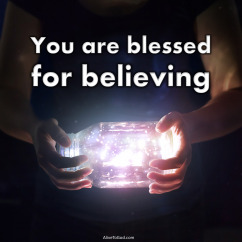 - You are blessed for believing that the Lord would keep His promise to you. Prayer: Lord, I declare that I believe in You. You are the One, true, living God and I bow my knee before You now. Every word from You is a word of life and hope on which I can depend. Amen. Daily Bible Verse: Luke 1:38 - ‘I am the Lord's servant,’ Mary answered. ‘May your word to me be fulfilled.’ Then the angel left her. ‘I am the Lord's servant,’ Mary answered. ‘May your word to me be fulfilled.’ Then the angel left her. - When we entrust our lives and future to God, anything can happen. 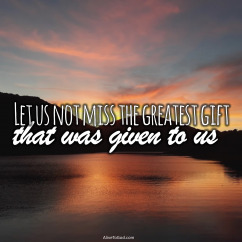 - When we place ourselves in His hands, He can use us in the most wonderful way. - Every word that proceeds out of the mouth of God will be fulfilled. - Every promise that you hold dear, He will bring to pass. - The Lord can bring new life into barren and desolate places. - The Lord can turn a wilderness into pools of water. - The Lord can take an impossible situation and turn it around. 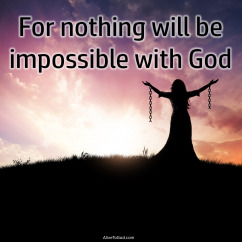 - Nothing is impossible with respect to any of God's promises. Prayer: Lord, what a joy it is to know that NOTHING is too hard for You! I thank You that no promise from You will be impossible of fulfilment. Amen. - Oh the joy to know that God is with us. - When the Holy Spirit comes upon us the greatest miracles can take place. - When the Lord’s shadows fall on us we know that we are under His wings. - Expect more of His abiding presence and power in and on your life. Prayer: Lord, may Your Holy Spirit rest on me and may I know that You are with me. I place my life in Your capable hands. Amen. - The Lord knows you by name and your situation is important to Him. - Zechariah must have been praying and out of nowhere appears the angel. - The angel brings the wonderful news that his prayer had been heard. - The Lord hears your prayers and He will answer with more than you expected. 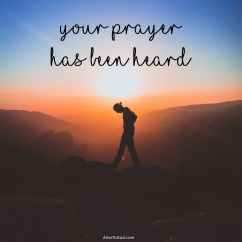 Prayer: Lord, thank You that I can bring my requests and petitions to You, knowing that You hear my prayers and that You are a prayer-answering God. Amen. - The greatest joy we can know as humans is the favour of God on our lives. - This favour includes His mercy, His grace and His blessings on our lives. 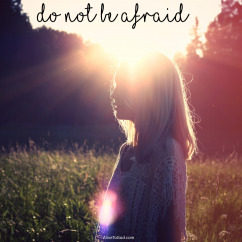 - When we know that His blessing rests on us, we do not need to fear. - May you know the favour and the blessing of the Lord on your life today! Prayer: Lord, thank You that I can know Your favour and blessing on my life. The blessing that comes from you is my greatest wealth and treasure. Amen. - Sometimes it can feel like we are surrounded and facing battles on every front. - When the battle is at its worst, let it be the most natural thing to turn to God. 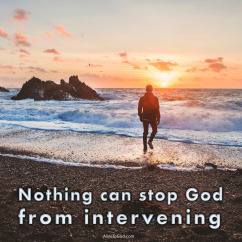 - We should remind ourselves that nothing can stop God from intervening. 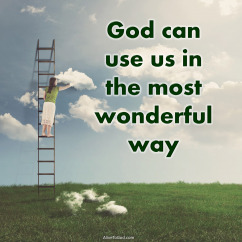 - No matter what we are facing, our access to God is never limited. 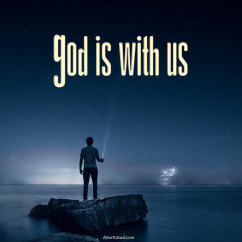 Prayer: Lord, no matter what I am facing, I choose to remind myself that You are close beside me and that I can continually call out to You for help! Amen. 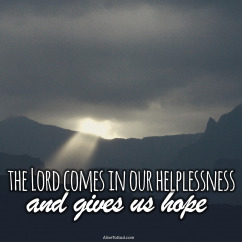 - The Lord is your helper and protector. - You can trust Him with every aspect that challenges you. - It does not say: ‘He will help’, it says: ‘I am helped’. - When we call on the Lord, He steps in and we are helped. Prayer: Lord, I declare that You are MY strength and You are MY shield and You are helping me. 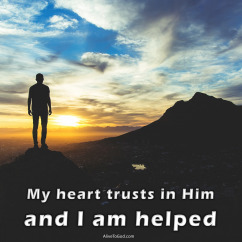 My hearts trusts and rests in You! Amen.